There are no rooms available at Vanilla Cottage for these dates. 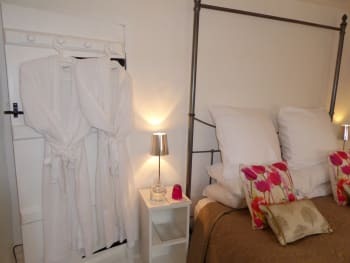 Sleeps 3, Double with 5ft bed plus single room with 3ft bed. Really lovely welcome, great information provided before hand so felt prepared for our stay. Lovely walks along the River Usk right next to the cottage. Otherwise we recommend the short drive to Abergavenny for walks around Sugar Loaf Mountain National Trust area. WE always head into the Brecon Beacons too, about a 40 minute drive to Pen Y Fan so very doable. 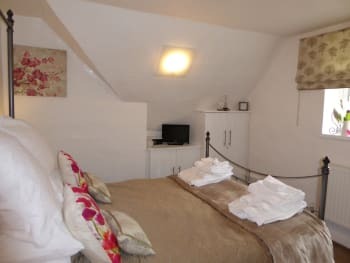 Cosy, warm, clean, very well equipped, fantastic welcome package, great information book in the cottage regarding how to look after everything i.e. the log fire, heating, waste, covered absolutely everything you could think of. Brilliant walks straight from the cottage, Usk only a couple of miles down the road, with a small selection of quality shops, worth a visit. There is a book in the cottage with recommendations of places to eat which is really useful. Excellent accommodation. Sadly golf course closed and dog walks limited. Good base from which to explore South Wales. Our trip to Abergavenny was particularly rewarding. Local pub, Chain Bridge, was very welcoming. Thanks for taking the time to review the cottage. yes the golf course next door closed a couple of years ago ( our website has reflected this ever since) but there are still about 18 more courses including the Ryder Cup course in the county so it has no effect on our guests . We dont understand the limited dog walking comment at all. There are riverside and nature reserve walks within a couple of hundred yards, National Trust walks within a couple of miles at Clytha, and hundreds of miles of Mountain Forest and canal side walks accessed within a half hour drive.We did send you a list of the most popular to download before your arrival and there are even more on our website and in the cottage. However we are delighted that you did enjoy your stay and hope you will return before too long. 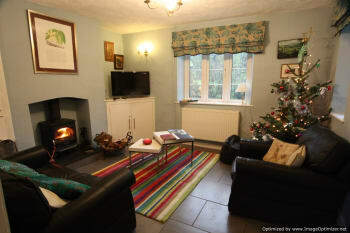 A lovely cottage that is dog friendly and in a very good spot for walking. Cottage well equipped and well provided, but you need to bring kitchen food basics. Black Bear pub in walking distance has excellent food and allows dogs. Clytha Arms also nice. Skirrid was a good walk, and Sugar Loaf mountain despite the mist. 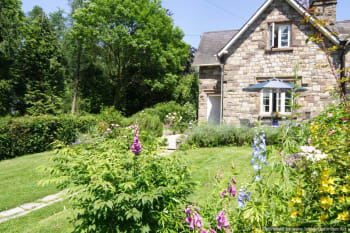 A very well equipped, spotlessly clean and warm cottage in the beautiful Usk valley. Very dog friendly with walks from the door. A lovely circular walk (National Trust) Clytha Castle. Monmouth has good bookshops and many independent shops and a lovely setting. Warning - Usk is currently rather dominated by road works sadly. 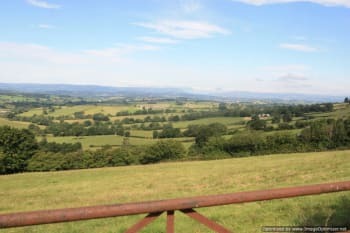 Very lovely cottage in a beautiful rural location close to Usk and amenities. Lots of great walks and interesting places to visit. A generous welcome pack of treats on arrival make it a special start to a holiday or short break. This was our second visit and we hope to stay again in the future. We have a lively young Golden Retriever so we tended to spend most of our time out in the countryside on long walks. We enjoyed walks along the old railway line in Usk, by the river in Kemeys Commander and especially in Wentwood Forest. We visited the pretty market towns of Abergavenny, Chepstow and Monmouth as well as seeing family in Tredegar. Lots of attention to detail. Kitchen really well equipped. Nice welcome package, in fact we found people in area generally very welcoming. Very detailed instructions for things like the TVs (downstairs and up) would be a special help for overseas visitors and those not used to the system. Abergavenny proved excellent shopping centre, in fact we happened to visit the new Morrison's the day of its opening, and it didn't disappoint. However, we really did enjoy the specialist butcher there. Sherry drinkers should bring their own tipple: no favoured brands were encountered anywhere! Do not allow the satnav to take on any route other than through Usk. We found ours led us on unsuitable routes a number of times in the area. Homely cottage, very comfy bed. Nice touches throughout. Peace and quiet the road wasnt too busy. We were disappointed not to have coffee, just the offer of tea which we dont drink. There was no salt and pepper in the canisters provided which was also a shame. The Black Bear pub is within walking distance and serves nice food. Not a far drive from Usk, Tintern, Abergavenny. Lots of lovely walks all around the area. The cottage is beautiful, well equipped, and In a quiet location easy to get to ,nice enclosed garden for the dogs , we had lots of snow this weekend but had no problem with the roads , the cottage is lovely , although not very warm , the central heating control is locked in a clear plastic box set at 18 with no way to control it , very cold this weekend !you can use the fire at an extra cost ,(not come across that before, have never had to pay extra when staying anywhere. Never the less we had nice break in this beautiful part of wales. We were very disappointed to read this review. 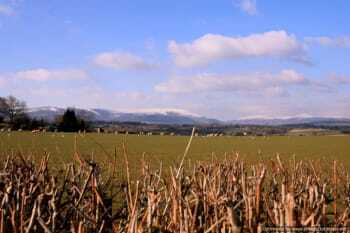 the heating is set at 22 degrees usually however due to the snow forecast it was altered to 23 degrees. Every room has a thermostatic valve and it is possible to turn them all on or off as you wish so you have control of each room. The woodburner is laid at no charge but yes we charge for extra firewood and that is clear in our agents materials. It is true that it was a very cold weekend, down to minus 13 at night. If we had been contacted about any sort of issue during your stay we would have ensured you were not cold.Hearing about it after the event like this we can only apologize rather than remedy matters as we would have done. Since reading this we have called out the engineers and discovered a fault on the system which was not evident befor your stay or on your arrival. It was fixed and the next guests also had no issues. We just wish you had advised us personally whilst you were here! Food at the Black bear a short walk from the cottage is always great. I know the house is pet friendly but on first impressions it smelt very "doggy" on arrival. Maybe this is something that other people have noticed? . Also I think the door should have a bolt higher up as my 5 year old daughter could reach the door bolt. Otherwise a lovely cottage in a location handy for exploring. We are really sorry there was a "doggy" smell on arrival, this is not at all a frequent occurrence .On this occasion the smell was in fact damp wool because we had had to shampoo the carpets as a matter of urgency that very morning and they were probably only just about dry as you arrived in the afternoon. We had all the windows open all day but despite a powerful machine drying takes time . We do apologize but we far preferred that to leaving dirty carpets for you. Hopefully you noticed that the smell went once they were fully dry.We are delighted that you enjoyed your stay otherwise. We walked on the Usk river walk we also went to a reservoir where there are lots of watersports. A very nice cafe with a good selection of food. Very impressed with information provided both before and on arrival. Malcolm made us feel at home on arrival and provided not only information on cottage and area ,but also walks and where to eat. Thank you for taking the trouble to write this. We do try to meet and welcome everyone personally and to have it appreciated made our day! Immaculate cottage, owners very welcoming and friendly. We had a lovely relaxing stay. Malcolm was there to welcome us, and we had thoughtful welcome gifts. Lovely tranquil setting. 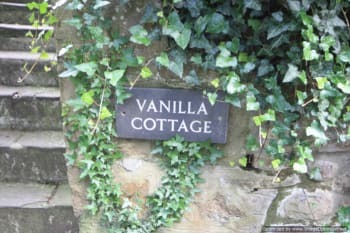 We would not hesitate to recommend Vanilla Cottage to other people. We had our dog with us, so did lots of lovely walks and visited lots of dog friendly pubs. Can recommend the Black Bear just up the road. The Walnut Tree in Skerrid was also lovely, you can sit outside with a dog. Delighted you enjoyed your stay so much! Hope to see you again before too long! Good communication on booking and arrival. Clean and comfortable cottage in lovely location. Been twice and already booked our third visit for September. The owners of the cottage provided excellent information by email before our stay to allow us to plan walks/activities and ensure we brought everything we needed. 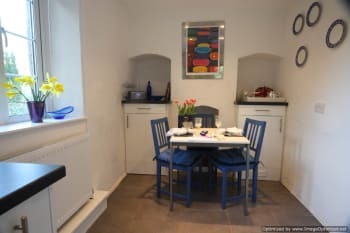 The cottage itself was lovely, extremely well equipped an in an excellent location - especially for those holidaying with dogs as there are a large number of excellent walking routes and dog-friendly attractions nearby. The Dean forest sculpture trail walk is excellent although I'd recommend going on a weekday as the new children's gruffalo walk overlaps the first few points on the sculpture walk and is very busy with kids at weekends. The longer version of the Usk town walk and the walk along he river to the right of the cottage along the lane were also excellent. Absolutely delighted that you loved the cottage and the Easter extras and that you have therefore booked to come back in the Autumn. Look forward to welcoming you- though there wont be choccy eggs and hot cross buns in October! We are so sad to read these remarks- but reassured somewhat by the high scores you gave us all the same. We were sorry you had issues with the smaller of two ovens but you did still have a working grill, full sized oven and a microwave. We are also sorry you had a heating issue in that it was coming on at hours unsuitable for you . As you do say we responded fast. We came to the cottage which is 15 miles from our own home within a couple of hours of receiving your message and reset it for you. It was working perfectly just that you preferred different times. To explain about the notices- There are no notices saying not to do anything( except please not to put the lead crystal glasses in the dishwasher as they cant take the heat though the modern ones are fine ) but there are indeed several sheets explaining how to use things such as the spa bath,woodburner , internet and TV and what to do in the case of fire of course. These explanations are needed by many guests .So sorry if the sheets were in your way. The rotary washing line is not absolutely as vertical as we would like, due to its site on a slope. But it is fixed firmly and there is also a tumble drier for your use. To say the knife sharpener has rust is a bit harsh. It does have a very tiny amount on one side and still functions excellently. We do request ( not insist) that the used linen is put in a pile. Its just so we can see what is entirely unused and what needs to be laundered. If we are unsure we wash absolutely everything . You are correct that we have low doorways ( but not low ceilings in the rooms). This is a feature of a genuinely old and quaint house . Because we are aware of the needs of taller guests you will find that all the measurements are clearly on our website. All the doors are closed with a thumb latch but the bathroom one does need the bolt provided to keep it shut. Old ledge and brace doors do not have the same spring handle lock type as modern doors and we have tried to retain all the old features which our guests usually say they enjoy so much. If you use the bolt the door is firmly closed. Again we are glad that your marks are batter than these comments imply , we love that you liked the welcome cakes, wine and flowers, and we do hope we will have the pleasure of welcoming you back soon! Charming cottage in a beautiful setting. Very well equipped and warm welcome. We spent a few afternoons in Wentwood Forest - a Woodland Trust wood between Usk and Llanfair Disgoed - where our dog could run off lead for hours! Spent a wet afternoon in Monmouth - good range of independent and high street shops. Visit the WI Country Market in Usk on Thursday morning for yummy local produce e.g. marmalades and honey. Black Bear in Bettws Newydd very good. Fantastic walks both close to hand and further afield. Booking and communication was excellent. A lovely warm welcome with a cozy log fire, welsh cakes and bottle of wine. Beautiful cottage with all mod cons. Definitely 5* accommodation. There are lovely walks, restaurants and places to visit nearby, and lots of information at the cottage, which is really useful. The cottage has a lovely whirlpool bath which is really nice after a walk. So glad that you enjoyed your stay and do hope you will come again soon! 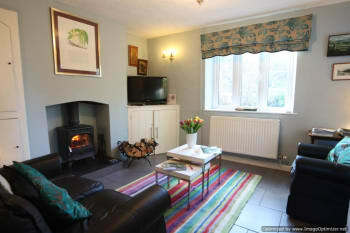 A beautifully appointed cottage, very modern and comfortable and everything you needed was there to be found. Everything had been considered for human and dog alike. We just walked really but always found great pub, the Clytha Arms was particularly good halfway around a 10 mile walk. So delighted you enjoyed your Christmas break and the many extras at that time of year. We wish you a Happy new year and look forward to welcoming you back! Another amazing holiday at Vanilla Cottage; much needed after a difficult year. Cottage spotless as usual. The WIFI and Sky Package was very good, much better than any cottages I have visited. The wood burning stove was very useful as it was chilly when I visited. With that and the excellent heating system I was as snug as a bug. I am impressed with the attention to detail and the welcome pack when I arrived-Welsh Cakes, lovely bottle of red wine, flowers and even a pint of milk in the fridge. The information cards around the house were very useful. The mattress toppers and pillow protectors were very impressive. The location is beautiful, lots of walks straight from the front door-the riverside walk is particularly beautiful. I was very grateful for the heads up from Fiona on a walk that was being held locally; much appreciated. I ate twice at The Black Bear up the lane and the service was excellent as usual. The food is five star in my opinion. They welcome dogs as well which is a bonus. All in all a perfect holiday and I can not wait to return for my their visit next year. Thank you so much Fiona and Malcolm, see you next year. The Black Bear up the lane- I have visited it on both my previous holidays at Vanilla Cottage and the Land-lady is very welcoming and helpful. Very dog friendly as well. Food is the best pub food I have ever tasted and reasonably priced as well. Well worth a visit. Take a look in local walks folder in the cottage. There is a Co-Op in Usk but its complicated to find so ask Fiona for directions. Its very well stocked and the staff are very friendly. I prefer to buy my groceries locally as it helps the local community. However,if you need to do a larger shop then there is a Waitrose in Abergavenny which is five miles from the cottage. So lovely to have repeat guests who try all the facilities of the area and take the time to feedback- especially with so much enjoyment! Do please come again soon! Great house, very well equiped. Nice welcome and helpful tips on surrounding area with things to do and where to walk/eat etc. Beautiful riverside walk just a few steps from the cottage and wonderful craft centre just across the road is definitely worth a visit. 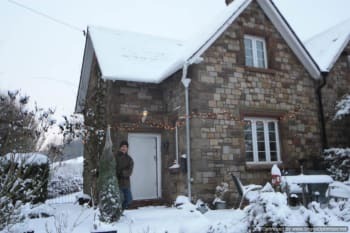 We stayed at this charming cottage several years ago and have so enjoyed our return. The owners have updated quite a lot of things in that time but have retained the cute cottagy style so many places have lost. We loved having the woodburner on in the evenings- though it wasnt really cold enough for that- just such a treat after the spa bath! Thanks for the warm welcome and the flowers tea tray and wine. Just the thing when you arrive tired. We walked from the cottage to Clytha Park National Trust car park and then followed another waymarked walk. Lovely scenery and some of it along the riverbank.Beautiful autumn colours The Clytha Arms was great for a drink afterwards. Not up to the same standard as other "5*" self catering accommodation which we've stayed at in Wales. For example: cheap wobbly kitchen table, rusty tin opener, sticky marks on doors and door handles. We'd still recommend, as nice cottage and location, but with note about expectations. Oh dear we are disappointed by this review. These are minor issues but as they are all that is reported here they seem to overwhelm the very positive aspects of this party's experience. As these customers were aware we were contactable throughout their stay -yet none of this was advised to us during it . It was all so easy to resolve so such a shame it was too late when we heard! .We would far have preferred to hear whilst something could be done about it. When we did know just a few moments had it sorted. We dont agree that the table is cheap though it is a modern style - but yes a leg screw had worked loose. A rusty tin opener complaint is very harsh- we discovered there was one with very minor rust indeed (left by another guest we imagine as it was not there a couple of weeks previously when we replaced our own which had walked )- but our own stainless steel one was also present in the same drawer and still shiny new. Anything sticky is not acceptable to us and we have spoken to our cleaner. We are very sorry for this. We are glad these guests would still recommend us and from the comments left in the cottage which were more comprehensive than on here we see they very much enjoyed the woodburner and log supply, appreciated the kitchen facilities, garden, pet facilities, and comprehensive information pack as well as visiting the Monmouth to Brecon Canal. A quaint little cottage in a quiet location. 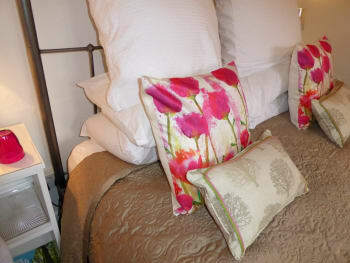 The cottage was well equipped, the beds very comfortable and the owners obviously want their guests to feel welcome with the gifts they leave. I would definitely recommend this cottage to others. However when we visit Wales again we would consider being in Tintern which was a truly pretty village and where the owners of Vanilla also have accommodation. Tintern is well worth a visit, the Abbey was amazing. From Tintern village we walked to the Old Station which was a nice walk but in places the pavements are narrow so our dogs had to be kept on short leads. There are other walks around Tintern but as it had been raining the day before the ground was still quite muddy. As National Trust members we also frequented Tredegar House where the dogs were welcome and the grounds so vast they could have a good run. We attempted a local walk (Clytha) but found the directions difficult to follow and got lost for a bit. We went to Caldicot Castle, also dog friendly, on the day there was thunder and lightening. No one else was there and we were not allowed up the turrets due to the risks. As the weather cleared we did the extended walk around the castle which was mucky in places but not too much. We also visited The Kymin, it was nice to see but as it is a small area the visit was short. From The Kymin you can take the Offa's Dyke walk but it is very steep. We also traveled to Barry Island on a hot sunny day and the beach there is lovely but doesn't allow dogs until October. However we took the half mile walk around from the promenade to Jacksons Bay where the dogs were allowed and then up and over to the cliff path where the views were great. Really glad that you all enjoyed your stay with us and we are glad that you liked the look of our larger cottage at Tintern. Hope we can welcome you there before too long! The Chainbridge Inn was a beautiful place to sit and watch the sun go down. The steak sandwich at lunch times was amazing. The Black Bear up the hill was great too... Both places happy for dogs to go in. Cottage would have felt too small with three in it but it made a comfortable base for a wonderful area. The owners had worked hard to make it an enjoyable place to stay. So many. The three castles, Raglan castle, Betwys Newedd church and pub. Angel in Abergavenny, the Hardwick. Walks on the hills and the canals. I can highly recommend Vanilla Cottage, the owners were helpful and efficient, the location is rural and relaxing and in easy reach of facilities. I chose it specifically because we have a small dog and wanted somewhere smart & comfortable with a secure garden. We thought the best shopping town was Abergavenny, a nice mix of high street and independent shops. So delighted you enjoyed your stay! Thank you for taking he time to send this great score! please come again soon! The welcome setting for our arrival was thoughtful and considerate. Very much appreciated. Everything has been planned around providing a comfortable, character featured base from where to explore the beautiful local countryside. Very charming and helpful. We would definitely like to return soon. 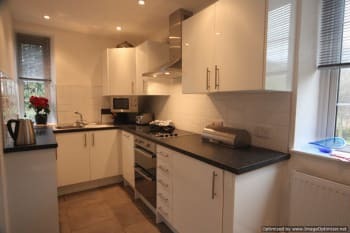 Nearby Usk town provides enough essential supplies and amenities whilst also providing a good choice of places to eat out. We particularly liked the vibrant nature of Abergavenny along with its traditional markets which varies on a daily basis and the quaint (and beautiful) setting of Monmouth town. We are so glad you enjoyed your stay1 Thanks for taking the time to write this for us its lovely that the effort we make has been enjoyed! Please come back soon! Vanilla Cottage Feedback: Overall we enjoyed our time at Vanilla Cottage; the cottage itself, the gardens and surroundings areas were beautiful. We don’t have any negative feedback per say, just a few observations based on our experiences of staying at many different cottages over the years: Eco: In your bid to be truly “Eco”, reminding guests to switch off plugs, use Eco products for the toilet etc. We felt this was pushed a bit too much and in some cases very contradictory: •	The Eco bulbs in the security lights meant not enough light was cast when taking out the dog in the middle of the night. Next door’s security lights were much stronger and actually were more useful than the ones on Vanilla Cottage. •	Temperature: The cottage was far too hot and as it was locked, we were unable to reduce the thermostat which was set very high as 21.5. Indeed, we had to resort to switching all the radiators off and opening the windows. 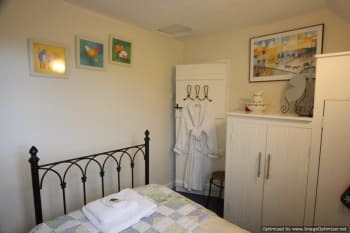 This combined with the heavy winter quilts on the beds and surplus covers, meant sleeping at Vanilla Cottage was not as comfortable as it could have been. •	Doors – whilst we appreciate the aesthetics keeping of the original doors – only 2 closed properly. Had it been cold and we needed to keep the heat it, we would have been hard processed. Again, goes against your “Eco” stance. •	Plugs – continual reminders about switching off appliances, not using when out, etc. – surely the best time to put the dishwasher on is either at night when in bed or after breakfast when out; similarly with the washing machine. However, there were plug in and continually switched on air fresheners throughout the cottage. Signs/Information •	The abundance was signs around the cottage was, quite frankly, irritating and meant we could not feel at home as much as we would have liked – we resorted to removing them and putting them in the info folder after 2 days. 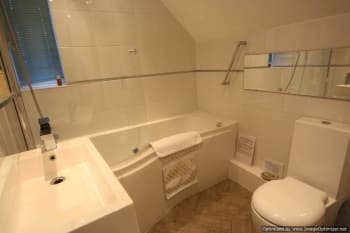 Whilst, we appreciate the need for some guidelines (perhaps due to bad experiences), you meet us at the cottage and covered the use of the spa bath, the need to switch off plugs, how to use the TV etc. I found 3 signs for the spa bath alone! In addition, the signs weren’t “nice”, the one re toilet has a rather nasty stain on it. If you really need a sign re the spa – a professional sign – permanently fixed to the bathroom tiles would look much nicer. •	When we did need to look up something i.e. the Wi-Fi code, it wasn’t where we’d expect it to be in the Information Folder! It was on another sign by the TV. •	Similarly, I needed the washing machine manual to seek advice on how long the programmes last – I could not find it in the manual folder – again, this needs updating as manuals had fallen out of the individual pockets – a new folder and filed aphabetically would have been much better. •	The information folder is a great idea, but needs updating – some of the pages had been removed and put back incorrectly so only page 1 was showing rather than both pages. •	I also needed to know what type of water you have: soft, medium, hard so I could work out how much washing powder to use – this would have been handy in the info folder. Other •	The Dryer does not work properly – our washing never came out completely dry. There was no indoor airer – again, encouraged not to use dryer whilst out but there was nowhere to leave our clothes to dry during the day while we were out or in the evening when it was raining. •	No washing basket either to transfer from washing machine to dryer or outside to the washing line. •	The tea cosy does not fit the large tea pot – shame. •	The dining room table wobbles badly resulting in spillage of drinks if it is slightly bumped. •	Storage – not enough storage for our things. In particular, in the kitchen, . The dining table was set ready which looked lovely but left no room to unpack our food shopping when it arrived . The posh tea tray, again, looked lovely, but was taking up valuable space on the side. If it had been on the side above the freezer, it would have been out of the way. .	We had to clear the dining room table and tea tray before we could start using the kitchen. •	Whilst it is second nature for us to leave a cottage/caravan clean and tidy and empty the bins – this is the first time in 25 years that we’ve ever been asked to strip the beds! We found this a little disconcerting as we thought we were on holiday, not at home doing our weekly housework!! Enjoy the local area, views. Thank you for taking the time to write this fulsome review of your 3 night stay with us. We are glad that you enjoyed your stay and that you found the cottage, its garden, and the surrounding area beautiful and that you would recommend us to others . We dont feel able to apologize that the cottage was initially too warm. As indeed explained when we welcomed you personally, we do provide working thermostatic control valves in every room so that you are able to adjust our generous heating to your own comfort levels. The whole point of our system is that you can do this. Everyones tastes in heat are different, spring weather is highly unpredictable, and we never want anyone to be cold . The cottage is small but we do indeed place " how to use" sheets next to the most used equipment for your convenience on arrival. 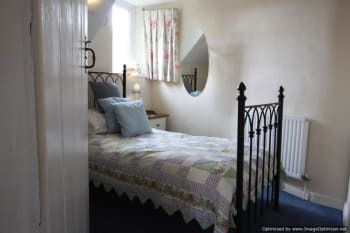 There are 5 such sheets ( TV, spa bath, woodburner, internet code, loo ), people tell us they are really helpful, and it is entirely normal that they are moved aside by guests after first use. For those who like more detailed information about the cottage and the area there are duplicates of the "How to's" and masses of information from places to eat to routes to walk on file . Its quite detailed on practical hings too as we have many overseas guests. We update the main file about monthly and it takes many hours, yes some pages do annoyingly go walkies. It is simply not correct that we make any requests to turn everything off. Like the heating guests can adjust/use things exactly as and when they wish. We do have a generic request in the welcome file to please to be mindful of waste by turning lights off when you are out -but that is all. The one exception is that we have received manufacturers advice for our new (and perfectly working) tumble drier that it should only be used when you are at home and awake due to the 6000 recent and devastating house fires caused by driers which have made the national news. Our notice to this effect on the drier is full of apology but explains that even with a new machine we are careful of your safety and prefer to be safe rather than sorry. Lastly we are of course sorry that our beautifully laid table ( starched napkins, wine, candles, flowers, welcome card) and tea tray (vintage silver milkjug, sugarbowl, spoons, and tea pot with its fitting teacosy, vintage Royal Albert china, fresh welshcakes, linen tray cloth) were in your way. We thought you would be thrilled. A very warm and friendly welcome. Perfect for a relaxing and peaceful break. We booked at very last minute due to uncomfortable building works on our own ( local) house. We didnt know what to expect and are absolutely amazed that this high quality little gem is near us. Normally we would of course not stay so near to home but we are certainly recommending it to others and will send our own overflow house guests in future . It was excellent. Thank you so much. Very well equipped and comfortable cottage in an easily accessible and convenient location for exploring the wonderful surrounding area. Lovely touches, bottle of wine and local goodies, left by our hosts, Fiona and Malcolm, who were very informative on meeting us on our arrival. Great garden for our dog who had as great a time as we did. Local birdlife seemed to love the garden too. BT Sport was an added bonus so we didn't have to miss the final Moto GP of the season. Just a shame the weather wasn't kinder but didn't stop us have a wonderful weekend break! Black Bear Inn, less than a mile up the lane from the cottage, did a wonderful Sunday lunch and the Fox Hunter at Nantyderry was great for dining too. Both very dog friendly. Tintern Abbey and Raglan Castle also worth a visit as was the 4 mile Sculpture Trail in the Forest of Dean.